Rich Fiedler’s iconic images of beach stones, beaches, boats and out-of-the-way local scenes reflect his deep love for the beauty of the North Fork. A realist who works in acrylics on masonite panels, Fiedler is a must for any serious collector of contemporary local art. Limited editions prints of his original paintings are available. The gallery also features regional and local artists working in pen and ink, pastels, watercolor, acrylic, oils, photography, and sculpture. Open year-round, 9:00am–3:00pm daily in summer. Gallery M showcases distinct, contemporary craft works from the United States and Canada. The gallery represents artists who produce high-quality, one-of-a-kind signed art pieces in a variety of mediums, including ceramics, glass, metal, wood, jewelry, fiber, and fine art. Owner Myra Eisenberg specializes in contemporary silver and gold jewelry. Open daily, 11:00am–5:00pm. 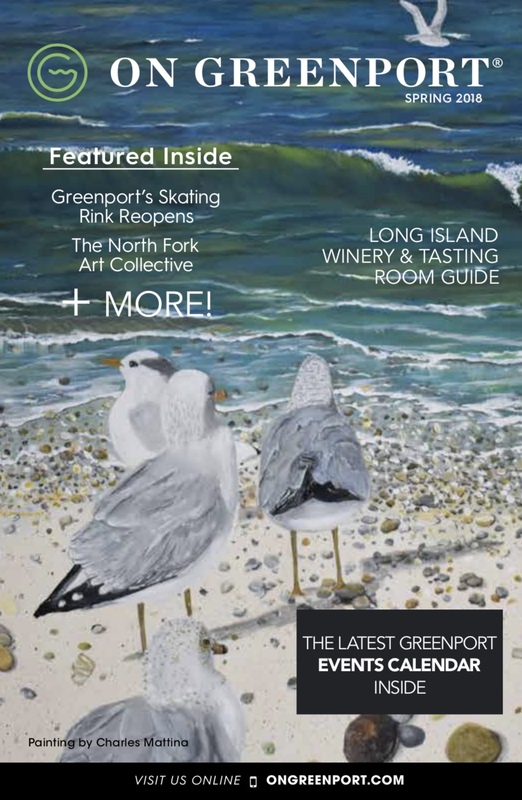 The gallery of artist Isabelle Haran-Leonardi, a contemporary realist painter, and Long Island native whose oils, acrylics and watercolors explore the natural beauty of the East End. She is best known for large-scale oil paintings that capture the sweeping vistas of the vineyards and beaches. Offering painting classes at her studio and gallery, housed in a historic 1907 building. Open Thurs.–Mon. 11:00am–5:00pm. This lovely store in the Village of Orient, just 5 miles east of Greenport Village, has original art and exhibits artists through the summer. Open from 10:00am-5:00pm. Closed Tues. and Wed.